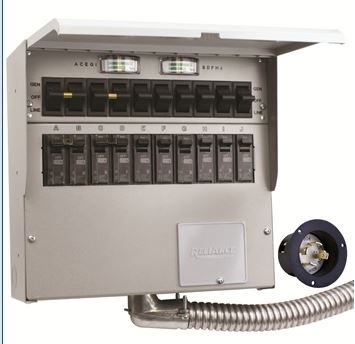 This 10 Circuit Transfer Switch includes everything needed to make a professional transfer switch installation in a home, office, or small business. It is completely pre-wired and designed for fast installation. The transfer switch enables the electrical system of the building to accept the power of a portable generator to run up to 10 single-pole (120-Volt) circuits or 5 double-pole (240-Volt) circuits or any combination of the 2. 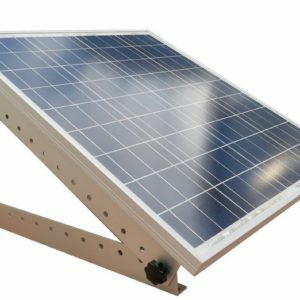 It allows you to power electrical appliances, lighting, and many other household circuits during a power outage. This transfer switch is completely code compliant and keeps the generator power isolated from the utility power at all times.